When I made the decision to leave my teaching job and part-time real estate business to come online back in 2005, I had no idea how I was going to earn a living. Looking back I realize that I took a leap of faith and believed in myself and my ability to figure everything out in due time. But it was affiliate marketing that made my dreams turn into reality. I have always described affiliate marketing as recommending what you love in exchange for a commission on whatever is sold. I even wrote a bestselling book on this topic, entitled Huge Profits with Affiliate Marketing: How to Build an Online Empire by Recommending What You Love where I explain exactly how to do this successfully. But I’m getting way ahead of myself and the points I wish to make here with some crucial affiliate marketing tips. Think back to the last time someone asked you for a recommendation for a restaurant, movie, or anything else. More than likely you shared a story about whatever it was, along with some details that made the story more personal. The example I like to use is one in where I was walking one of my dogs and ran into my next door neighbors, Michael and Valerie. They wanted to go out for pizza and asked me if I could recommend a good place locally. I proceeded to tell them a story about a place in the downtown section of our city. I told them to park in the lot in the back, to enter through the back door, and to ask for Joey once they were inside. If you ask Joey for a table near the front of this pizzaria you’ll be able to see other patrons coming in through the front door as well as the city lights once the sun goes down. Then I reminded them to ask for the garlic rolls slightly warmed up because they are so scrumptious. Valerie is a vegetarian, so I told them to look at those selections on the menu to get a half and half pizza. I also shared that asking the waiter to have the pizza prepared a little well done would make it even more mouth-watering and added that if they wanted to take whatever was left of their pizza home with them this restaurant would put it in a box that could go directly into the oven when they got home. By this time Valerie and Michael are ready to go, their eyes wide and their mouths watering. I have recommended something that met their criteria (good pizza, close to home) and I have personalized it by sharing details about parking, where to sit, and the ambiance once they are there. I went above and beyond by providing bonus information about the warm garlic rolls, having the pizza extra well done, and the convenience of the box they could put in the oven if they took any of it home with them. All of what I have shared with you here is crucial to successful affiliate marketing. Tips like these will make all of the difference in your level of success. Also, another point that might be the most important of them all is that the only reason I am able to recommend this restaurant in this way is that I have actually eaten there and had these experiences firsthand. My recommendation to you is to only tell others about products and services you have purchased, used, and benefited from personally. I’m Connie Ragen Green, online marketing strategist, bestselling author, and international speaker on the topics of entrepreneurship and inner game mind shifts. Let’s connect to see how I may best serve you in the near future. And please be sure to check out my Really Simple Affiliate Marketing training course. 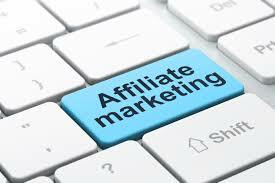 Affiliate marketing tips will help you to achieve the success you want and deserve. This entry was posted in Online Marketing Tips and tagged Affiliate, Love, Marketing, Recommending, Tips on February 10, 2017 by Connie Ragen Green.